"One of our big themes for the year is increasing player influence and giving you more choice. So far, this has manifest in a few different ways, such as the dwarf/gnome/pirate quest vote, the fully customisable interface system... from small things like player choosing the Divination skill cape colour to massive things like deciding the direction of the overall story via the world events. We really believe this is good for the game and the community. We want to carry this concept of player empowerment even further, both in terms of how players can shape the story and even shape the world (remember we've got a construction skill rework coming later this year.......)"
Aha, so there is a construction rework! Anyone excited for this? I am glad to see the skill get some refurbishing, though...I have some concerns, mainly due to the rework of the Runespan skill. Wait, sorry! With the runecrafting rework, I felt overall that Runespan Gold ended up taking away from the skill, and hardly related! (Sure, the concept was the same - crafting runes, but you don't even keep the runes from Runespan. To me, Runespan just felt like an easier way to get experience and rewards without /actually/ crafting runes). So what are your expectations of the construction rework, when it comes? 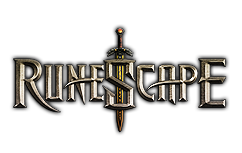 Do you absolutely look forward to the rework, or are you completely against it, and want Jagex to keep their hands off? And maybe you are like me - excited to see some changes to the skill, but have concerns about what could happen? This is the update that my friends are looking forward to: The Construction Rework. They don't seem to want to talk about any other future updates. I'm hoping for more options with the house, like having more floors so we could build towers or multiple-story dungeons. Maybe rooftop gardens (which could allow the house portal to be somewhere other than the ground floor) or rooms built over a space where there isn't a room. Maybe we could get more flexibility with the hotspots, like allowing me to store 7 slayer trophies in my house without having to build 7 skill halls. My friends are hoping to be able to do things like mixing their preferred style of wall with their preferred style of floor and their choice of grass or dirt or sand, rather than just choosing one house style that comes with all of them. They also suggest smaller or bigger rooms, differently shaped rooms, the ability to remove unwanted doors, the ability to have fur doors like they actually have in Rellekka and curtain doors like they actually have in Pollnivneach, and probably other things that I'm forgetting.